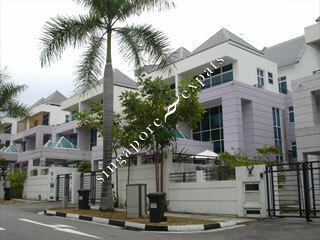 Lucky Villas is a landed house development located at East Coast of Singapore. Amenities like supermarkets, food centres and shops are within a short walk away in the nearby Bedok housing estate. Lucky Villas is about 5 minutes drive from the Airport and 15 minutes to the city using the East Coast Parkway (ECP). The Tanah Merah MRT station is only a couple of bus stops away.